OCT Wellness Exam provides a higher level of eye care. 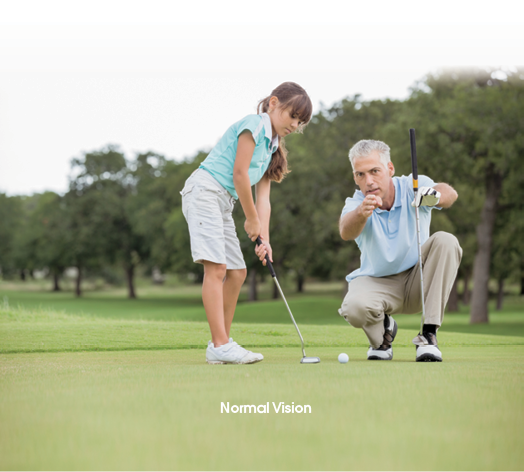 The Wellness Exam uses state-of-the-art optical coherence tomography (OCT) to produce high definition images of the layers of the retina (sensitive area of the back of the eye). Often compared to an MRI or CT scan, SD-OCT images provide stunning details of retinal structures that are not visible with other examination techniques or tests. This is important because it enables the doctor to detect early signs of vision-threatening disease. When diagnosed early, these conditions are often easier to treat, which slows progression and often avoids vision loss. Many people believe they should only go to the eye doctor when they experience problems with their vision. In reality, many eye problems can develop without warning and progress with no symptoms. Early on, you might not notice any change in your vision, but irreversible damage could be taking place. This is why regular eye exams including a thorough evaluation of the retina are so important. It is important to pick up signs of disease before permanent damage can occur. The Wellness Exam is non-invasive and can be performed quickly and easily as an initial first step in a routine comprehensive eye examination. The images produced provide a view of the retinal layers that enable the doctor to identify early signs of disease, or confirm the patient’s ocular health. Early detection of retinal abnormalities and disease may lead to earlier and safer treatments and in many cases prevent or slow the progression of vision loss. The Wellness Exam is recommended annually regardless of symptoms, thereby allowing eye doctors to observe any subtle changes occurring over time.